We are running a weekend down in the Redwood Forest to get some mountain bike skills training from MTB Skills Clinics and get a ride in too. Saturday we will do the Phundamentals training from 09:00 to 14:00 any maybe have a chance to practice after the course. On Sunday we will put our newly-honed skills into practice with a good ride in the forest, before heading home mid afternoon. There is also the possibility of running a Trailmaster course on Sunday for any of you who have already done the Phundamentals course and want to advance your skills. Let us know if you are keen. We will stay at the Thermal Holiday Park in Rotorua. 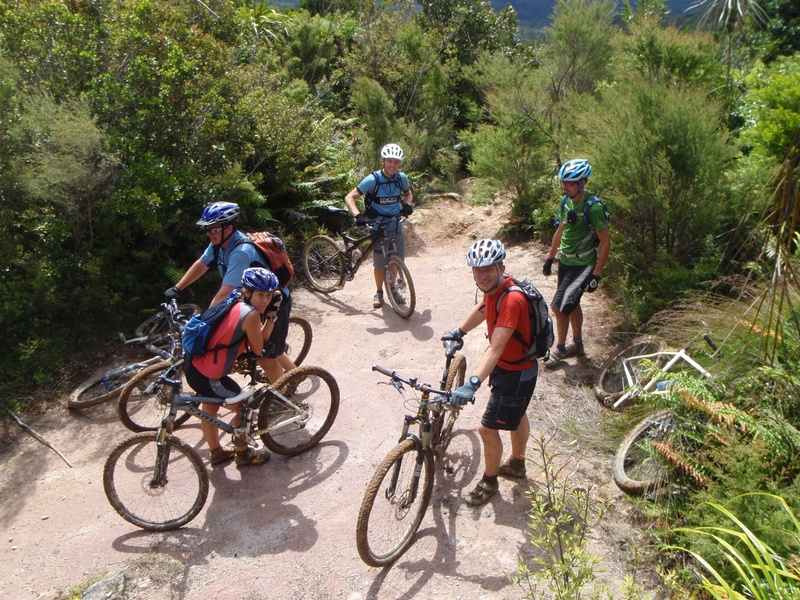 They offer a 10% discount for Auckland Mountain Bike Club members and have a variety of bunk rooms, cabins and tent spots, plus free hotpools. Book in for Friday and Saturday evenings if you can get down after work on Friday. The Phundamentals course will cost about $70 (heavily discounted price for club members), but places are numbered. We will be making the booking soon, so get in touch quick. The first to e-mail Aidan to secure a spot will get in. Don’t know what to do on Waitangi long weekend? 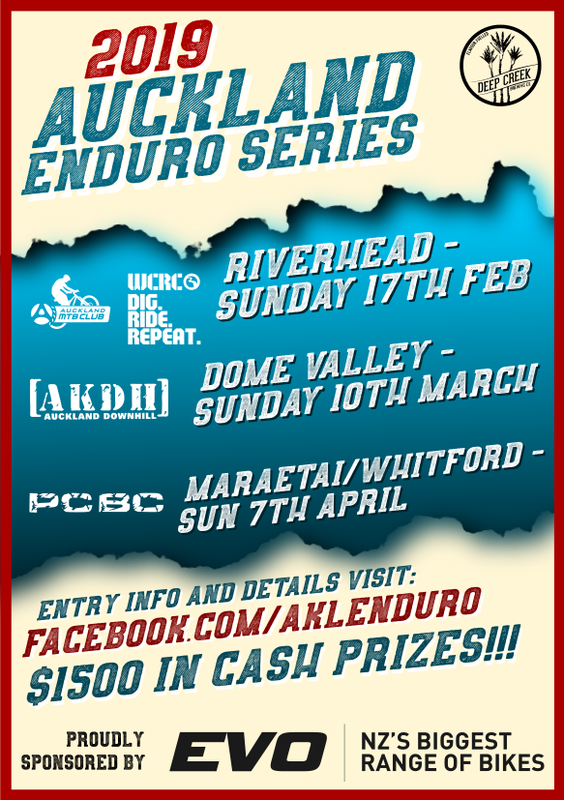 This is what Auckland Mountain Bike Club has got for you! The Rerekapa trundles through a mix of woolly farm country and bush blocks taking a mysterious route into the back of beyond. While the Moki Track has a bit of a reputation for not existing, this may have been due to its impassable state for many years and the fact that it doesn’t join up on the topo map. The Moki Track starts out innocently enough following the Waitara River then crosses it and reverts to 4WD rocks and ruts. A collapsing tunnel bypasses the snaking river with the track continuing to the edge of the semi-developed undulating farmland. Benched single-track heads into bush where DOC has repaired and reopened the bridges and structures. This section provides some of the most enjoyable riding in the area with lots of technical lumps, bumps, bridges and beautiful bush. Exit into farmland and follow your nose out to the gravel road with a couple of Ks to join up the loop. These two tracks can be done in isolation but are best joined to make a round trip. This is a remote jungle ride into the heart of Whanganui National Park. The track travels through some abandoned returned servicemen farm settlements to an old art deco concrete bridge that goes, well, nowhere. It finally reaches the Whanganui River at Mangapurua Landing. Thick regenerating bush covers the hills with massive tree ferns down to the Mangapurua Stream. The river has cut deep into the papa clay to form what looks almost like an alien canal while the track sidles precariously above it in places. It is 38km long track with option to add another 40km ride from Raetihi to the start of Mangapurua track. We will have JETBOAT organized at Mangapurua Landing and we will jet you and your bike to Pipiri and bus back to Raetihi. Joe operates the Bridge to Nowhere shuttles and Jetboat and offered 10% discount for club members. The Tree Trunk Gorge track weaves through native forest, dealing out a steep little climb, picturesque river ford and three wooden bridges en route. You can also check out the Pillars of Hercules before biking down to the Poutu Intake on the Tongariro River. Join us for all 3 days or any of the rides. Spaces are limited so if you are interested or have any questions please email Tad. This is one of the closest back-country rides to Auckland, starting from near Paeroa. Great challenging riding in the Coromandel Range with a mix of rough climbs and tricky descents, plus there are great views overlooking Whangamata and the Bay of Plenty. Plan is to meet in Paeroa at 10:00am, opposite the L&P Bottle and go from there. To sign up for this one email Hayden and he will add you to the list. This has been cancelled due to trail closure. Sorry! Driving down to Opotiki on the Friday, riding the 90km Motu Trail loop (which finishes with 20km of downhill on the epic Pakihi Track 🙂 ) on the Saturday and topping the weekend off with a ride at the new Rainbow Mountain track in Rotorua on the Sunday. Two nights’ accommodation at Bushaven Lodge (Friday and Saturday nights). Bushaven is conveniently located close to the end of the Pakihi Track in a stunning bush setting. A meal after the ride on the Saturday evening . Something along the lines of home kill beef, wild pork, all the trimmings, roast and boiled spuds, veggies. macaroni cheese, salad, bread and pudding, all on the table and help yourself. Bushaven also offer a shuttle service to the top of Motu Hill, which cuts out out much of the distance and climbing from the ride. The cost for this is between $50 and $65, depending on numbers. If you want to take this option you will pay Bushaven directly on the day but please tick the box when signing up so we know how many people want to take this option. For those who are keen, on the Sunday we intend to drive home via Rotorua to check out the new Rainbow Mountain Trails (read this review by Woodhill’s Haydz). There is also the option of riding the short (13km return) Te Waiti track which starts at Bushaven. The ride is limited to 30 riders and entries close Friday 9th November.